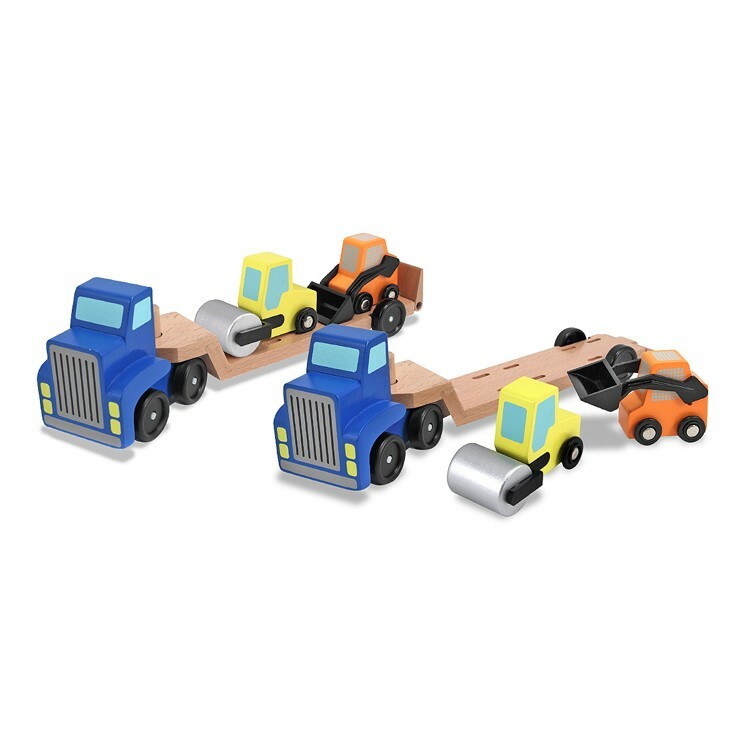 The wooden Low Loader play set includes a wooden steamroller, a toy bulldozer, and a giant wooden rig to carry both smaller trucks! 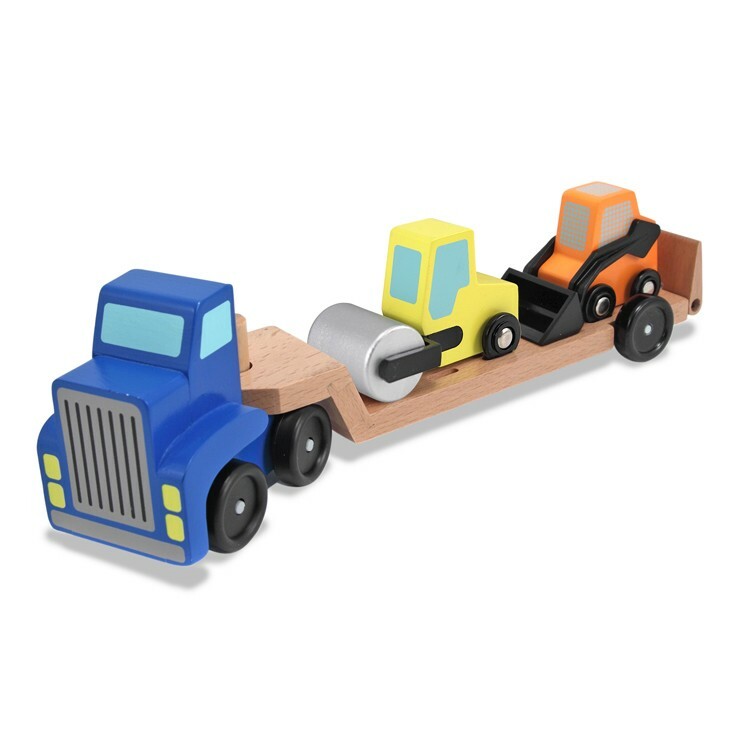 Three amazing wooden trucks, all in one set! 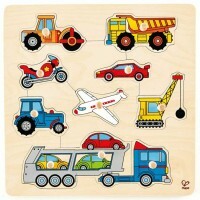 Melissa & Doug's Low Loader Wooden Vehicles Play Set is a high quality truck set your family will love for generations. 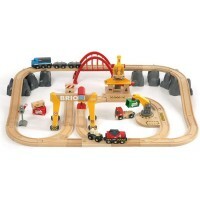 The wooden play set from Educational Toys Planet includes a steamroller, a bulldozer, and a giant wooden rig to carry both smaller trucks! 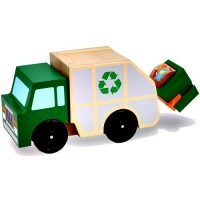 The large tractor has a removable trailer with a pull-down ramp, making it easy to load and unload at any play worksite. 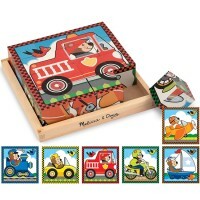 This sturdy wooden truck set by Melissa & Doug features smooth edges and non toxic paints, for a vibrant and child-safe toy. 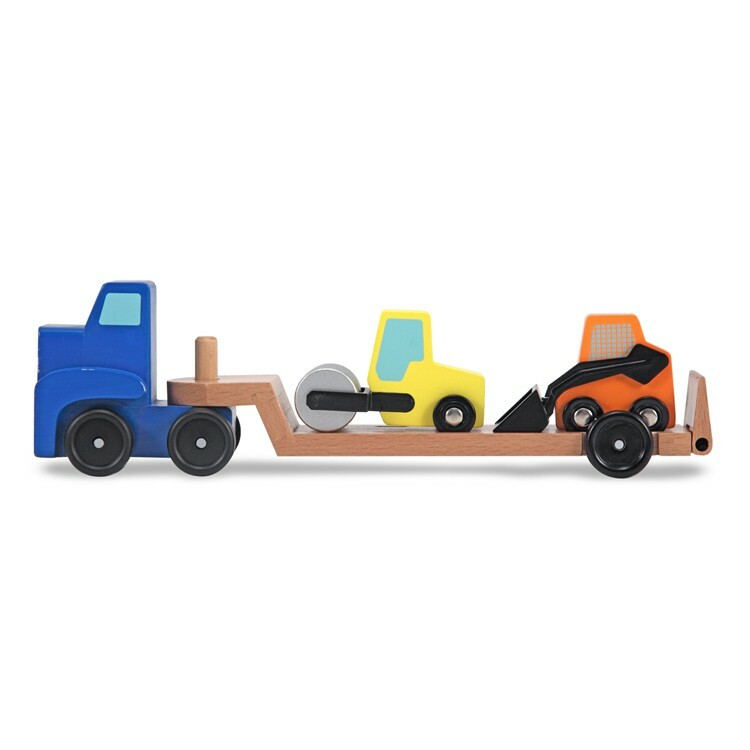 Toddlers and young children can engage in creative play and motor skill development as they push around their Low Loader Wooden Vehicles Play Set. 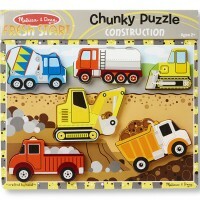 A must have truck set for your active little one! 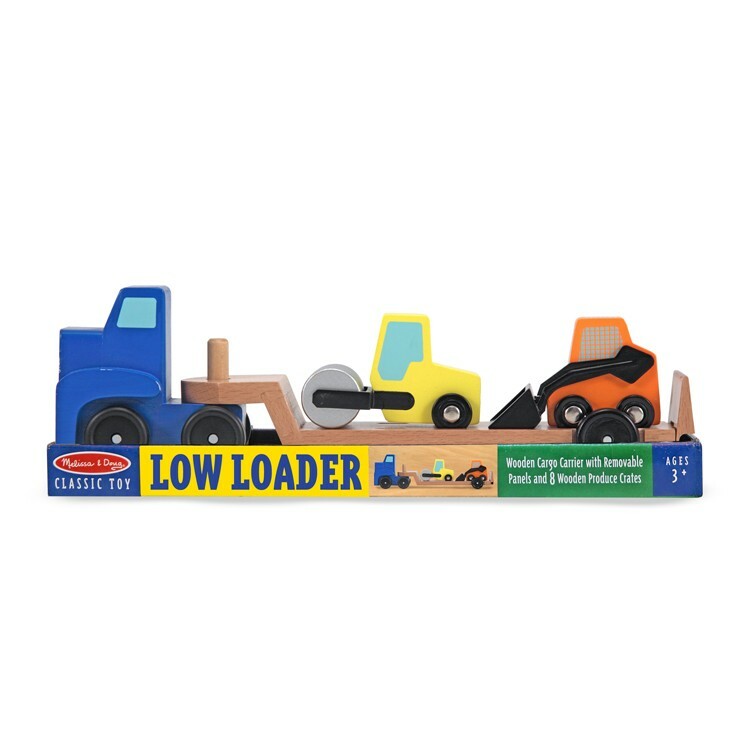 Dimensions of package 4" x 14" x 3"
Write your own review of Low Loader Wooden Vehicles Play Set. 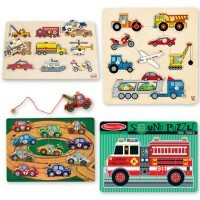 Rating: 4 Cool toy by Jessica G If your child loves trucks then he or she will love this little play set. 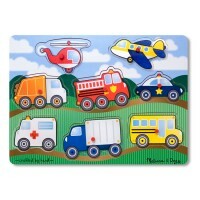 It is fun, easy to use and totally durable. 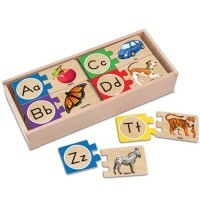 Melissa and Doug never disappoints. 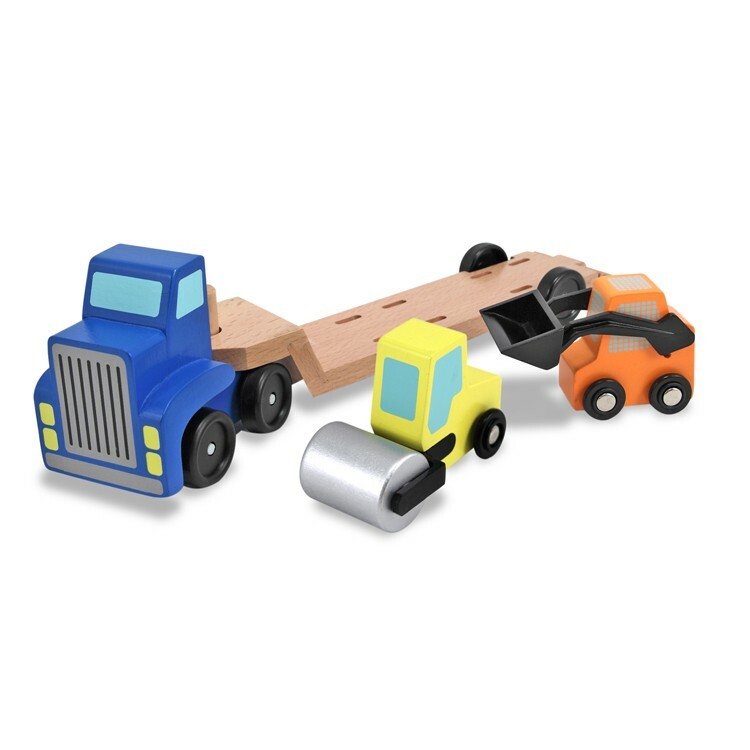 Kids can play with each piece separately or load up the tractor and cement roller on the back of the truck for a tow to the next work site. 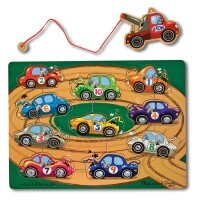 This toy will provide hours and fun and because it is so well made will last for years to come.